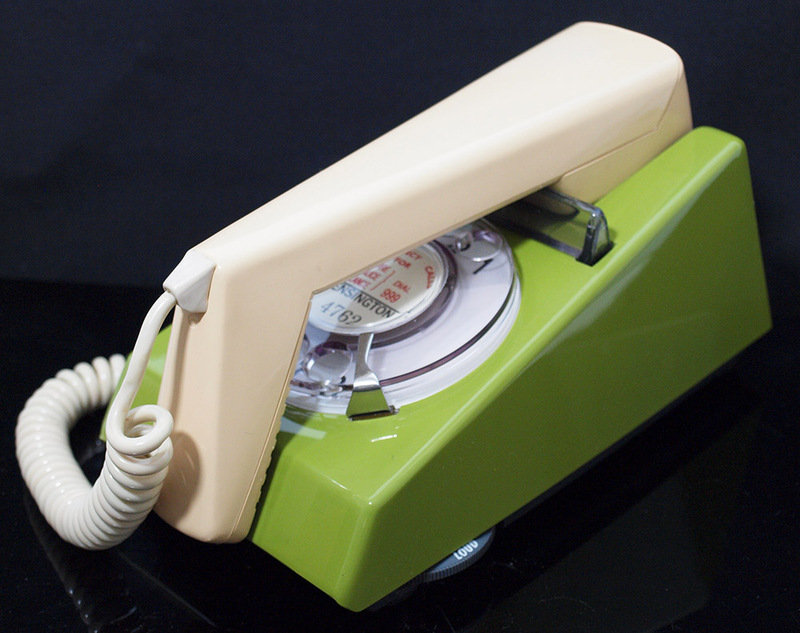 << Back Dial green/Beige Snowdon Model. 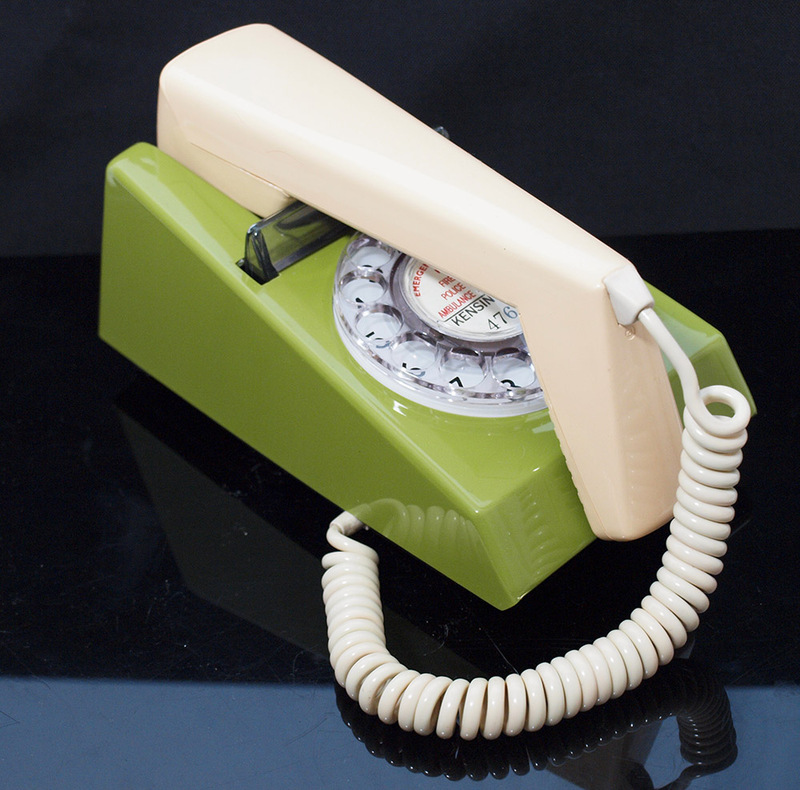 This is a wonderful colour and due to some very minor imperfections in the handset it has been reduced in price. See the last picture for close ups. 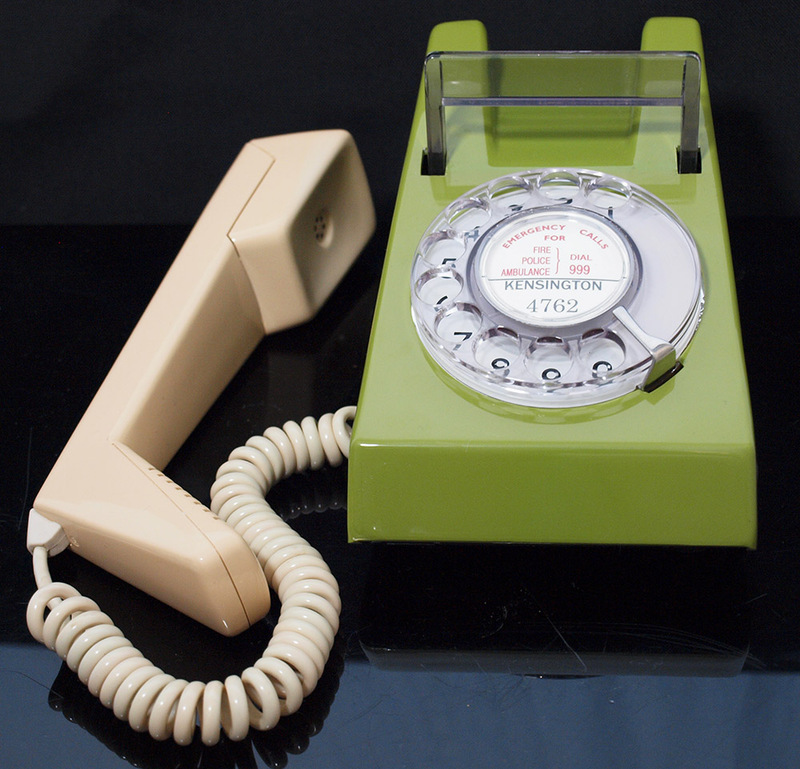 This is a beautiful dial green/Beige Snowdon model. The colour is un-faded and looks wonderful. It has been stripped down and rebuilt after each part has been cleaned and polished. 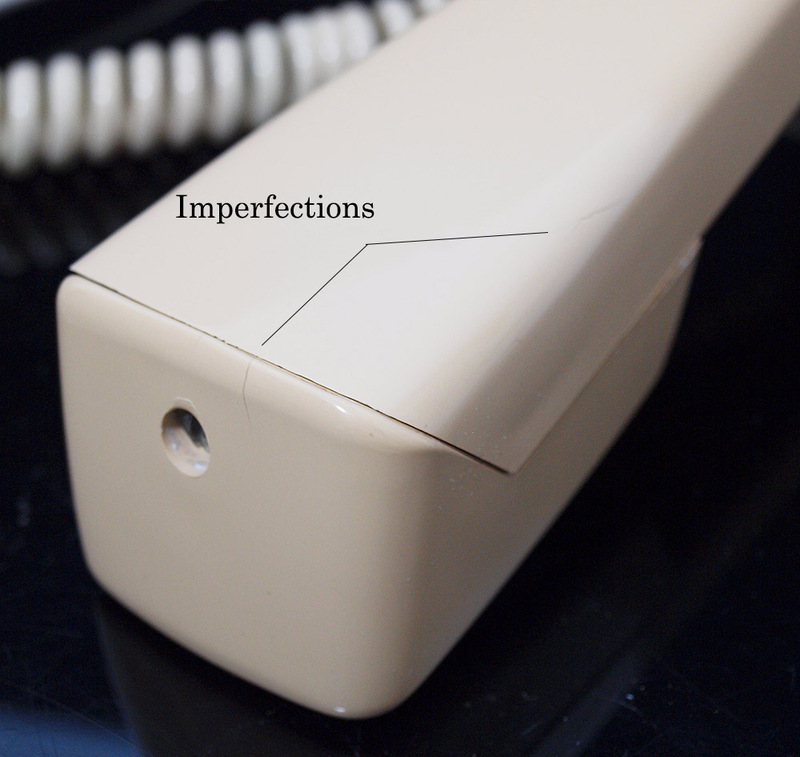 It has been fitted with an essential electronic microphone to bring the speech quality up to modern standards. This one has some very small imperfections in the handset which in all honesty I doubt you would have seen without being pointed out. It has its original long line in with curly section. It is fully converted and tested and will dial out and receive perfectly. I can make a dial label with your information at no extra charge.